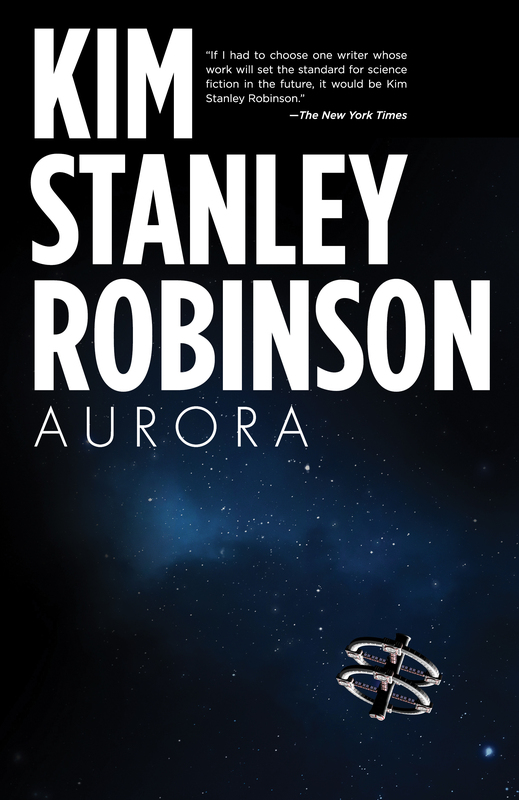 Kim Stanley Robinson's next novel AURORA is coming out in hardcover (+ ebook, audiobook) in the USA/Canada on July 7 2015 (July 9 for UK, July 14 for Australia). 480 pages. A multi-generational starship travels out of the solar system for the first time in humanity's history. Its destination is a planet in the Tau Ceti system, 12 light-years away, that they have dubbed Aurora, after the Roman goddess of the dawn. Will this be a new dawn for humanity or the dusk that will encompass us all? Editor Tim Holman says, "Are you looking up at the stars? Kim Stanley Robinson is an incredible individual, a visionary and a truly wonderful writer. 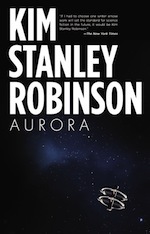 Aurora is about our future, but it is what this novel tells us about the present that really matters. A must-read for fans of SF, and a fantastic voyage of discovery for anyone unfamiliar with the genre." One of science fiction's most powerful voices, Kim Stanley Robinson has won multiple Hugo, Nebula, and Locus awards and has published more than 20 books, including the award-winning Mars trilogy and the New York Times bestseller 2312. Aurora cover in super-HQ here. Stan talked about his vision of the future for U-T San Diego Science Talks, a video of that is available here. Stan talked about Mars at the SETI Institute's Big Picture Science podcast, Mars Struck (just the KSR bit here). Shelf Awareness has a short, to the point interview with Stan. Read about his favorite authors and books, what he's reading now, books he takes when backpacking, books read most often, all kinds of books! A Suitable Boy by Vikram Seth and Air by Geoff Ryman. What does today’s sci-fi mean for our real-life future? Cyberpunk author Neal Stephenson argues that it’s time to get over our love of dystopia. A class at MIT searches sci-fi classics for technologies they can invent right now, although maybe they shouldn’t. Geoengineers take a tip from Carl Sagan – who saw a green future for Mars – to see if we can save Earth. And we meet some scientists who think that if we ever want to see the stars, we’d better start building the starship. More coming as we gear up to the release of Aurora!